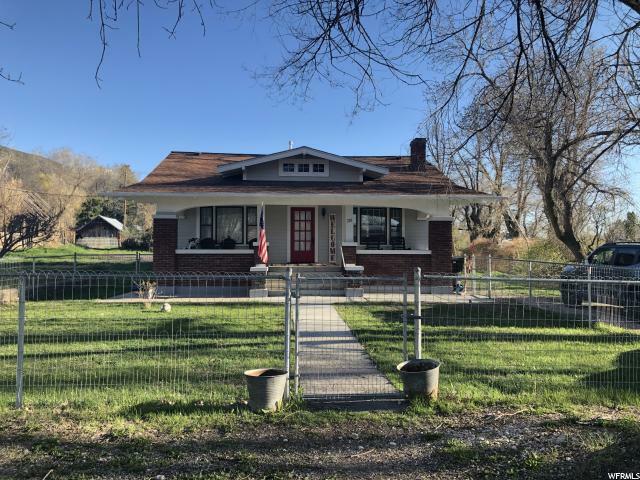 All Manti homes currently listed for sale in Manti as of 04/20/2019 are shown below. You can change the search criteria at any time by pressing the 'Change Search' button below. 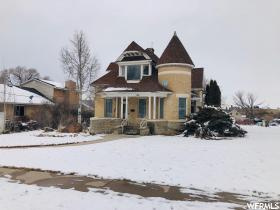 If you have any questions or you would like more information about any Manti homes for sale or other Manti real estate, please contact us and one of our knowledgeable Manti REALTORS® would be pleased to assist you. "Looking to upsize not only in home but yard as well? This home has a lot to offer. Large mudroom/laundry room from garage door, Open kitchen with large pantry, built in computer desk and two bonus rooms that are currently used for an office and craft room off the kitchen could be used for more pantry or storage space. Drinking fountain in kitchen for the little ones. Office by the front entrance of home. Blaze king wood burning stove in basement. Walkout basement entrance. Large lot with horse property, tack room, wood shed and plenty of room for all the extra animals, trailers, ATV's etc. Fully landscaped yard with wrap around sidewalk, ground level trampoline, swing set, Outside lighting for all the get togethers on the warm summer nights. Beautiful views of the mountains and Manti Temple. Square footage figures are provided as a courtesy estimate only and were obtained from Sanpete County assessors. Buyer is advised to obtain an independent measurement." "One of a Kind Manti/Ephraim Property Now Available for Purchase! Come see this unique and hard to find property amazing mountain, city and temple views. This home is over 4100 sq. ft. has 6 bedrooms-3.5 baths, beautiful den/office with upgrades throughout. Two hay barns, corrals, lights detached garage/shop with carport, fully fences, covered stalls, wheel lines, landlines, irrigated pasture, this property is ready for you and your animals! All of this sits on 5.5 acres with beautiful mountain and valley views. Included in the purchase is water right #65-2816 and the 3 B shares and 2 E shares of irrigation water. Come see all that this amazing property has to offer, you won't be disappointed! " "The best of Manti living! Updated Historic Charm. This home is located in the residential section of Main Street. Large (3/4 acre) yard with water rights, beautifully landscaped yard with lovely sitting areas, pathways and a pedestrian bridge. Also comes with 2 separate detached garages. Handyman/woman's Dream! The interior of the home will not disappoint with many added personal touches and upgrades. Bring your pickiest buyers!" 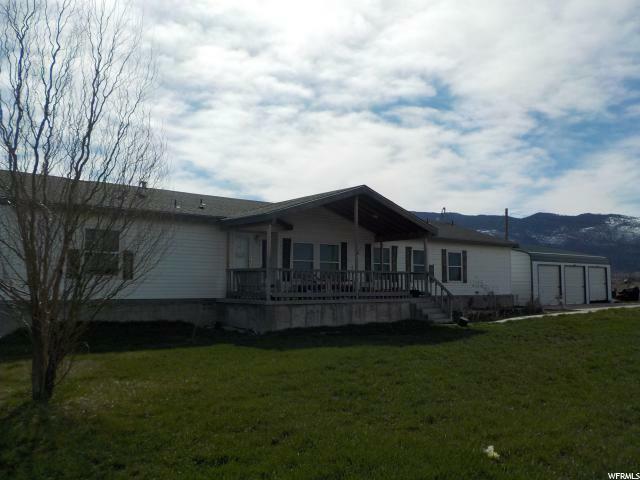 "OWN YOUR OWN LITTLE FARM JUST NORTH OF MANTI! 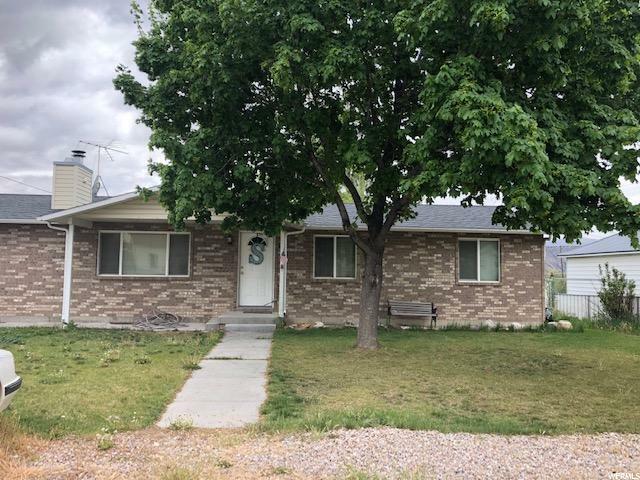 Don't miss this opportunity to own your little corner of peace and quiet with full views of the mountains and the valley all the way to Ephraim! Square footage figures are provided as a courtesy estimate only and were obtained from Sanpete County . Buyer is advised to obtain an independent measurement." "A BRAND NEW HOME FOR UNDER $100/SQ FT...WITHOUT THE FRUSTRATION AND WAIT OF CONSTRUCTION!! 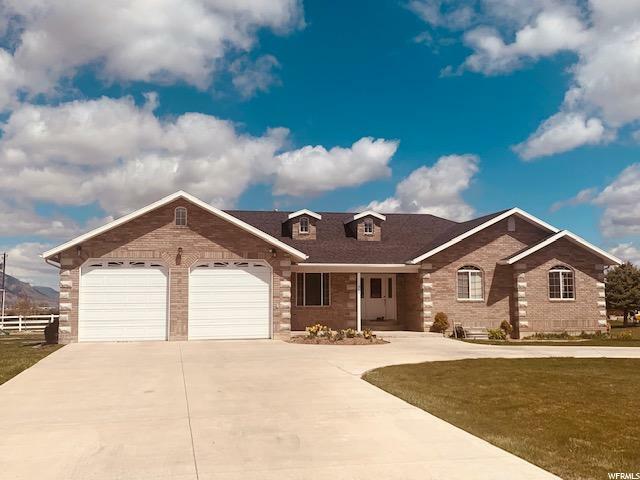 3 bedrooms, 2 bathrooms and 1400 sq foot main floor with a 1400 sq foot unfinished basement which boasts a 120 sq foot cold storage room on a .27 acre lot. This home is situated just a couple of blocks from both the elementary and high schools! This home has many extras! Granite countertops, upgraded cabinets with a 25 year warranty, built in oven, microwave, dishwasher, refrigerator, and natural gas cooktop are included. YOUR NEW HOME AWAITS!! Square footage figures are provided as a courtesy estimate only and were obtained from Sanpete County. Buyer is advised to obtain an independent measurement." "This charming, turn of the century home is a must see!!! So many possibilities with minimal work and perfect for a large family with over 3,000 sq feet of living space.. Huge open floor plan with extra high ceilings gives you lots of room for entertaining guests and so much more. Tons of work has been put into this home so its ready for you. Home also features a massive corner lot where you could put a large shop or garden. Conveniently located in Manti and just minutes away from Palisade State Park, Palisade Golf Course, Manti Temple, Snow College, Walmart, Skyline outdoor recreation and so much more! This is a must see! Come live in the heart of Utah. " 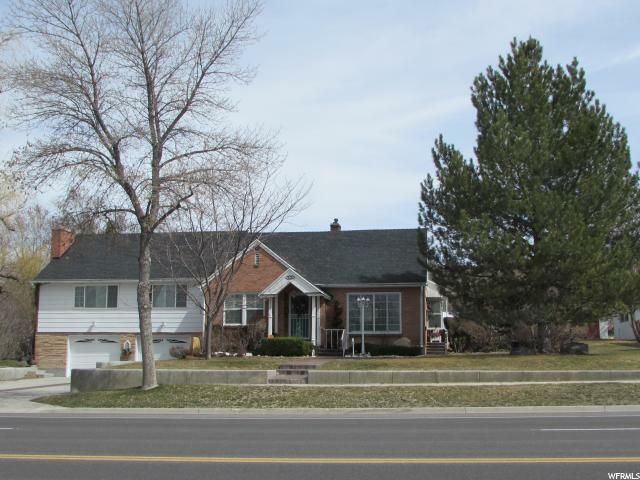 "We have a beautiful 5 bedroom, 2 bath home in Manti. It is just 3 blocks from the elementary school and city park, a few extra blocks to Main Street where there is great dining and shops. We have a fully fenced back yard with privacy slats. There are garden plots and an Rv pad/ basketball pad. Amazing neighbors and a quiet community! This home is a must-see! We are needing to sell it fast so don't miss out! Buyer to verify all"
"This home has character written all over it! Darling updated home in a great neighborhood and within walking distances to city park and elementary school. Great covered/open porch for the rocking chairs to sit out and enjoy the evenings and relax. Room in basement to add an extra bedroom. Great laundry room/mud room from the back yard. Mature trees for extra shade in during summer days and room for a garden or extra animals. Small orchard of fruit trees (Pears and apple). Wood burning fireplace. Home has lots of storage with with extra built in storage throughout. Home has original molding from the 1920's. Updates include, new windows, A/C, electric and plumbing new water heater and furnace. Square footage figures are provided as a courtesy estimate only and were obtained from sanpete county recorders . Buyer is advised to obtain an independent measurement." © 2010 Chobeso Inc., All Rights Reserved.